Centre for Marine Biodiversity and Biotechnology, School of Life Sciences, Heriot-Watt University, Edinburgh, UK. Owing to their relative longevity, sensitivity and the possession of some human analogous metabolic detoxification processes, fish have long been used as sentinel species for environmental pollution (Hartl, M.G.J., 2002). Biomarkers, loosely defined as measurable effects providing evidence of exposure, will ideally lead to the establishment of causality and provide the necessary data to inform management decisions. Despite the increasing importance of fish cell lines and the development of in vitro coculture models in routine toxicity testing, the use of whole organism exposure models still deliver ecotoxicological information, such as condition, growth, fecundity and population dynamics, that the former cannot, especially where novel contaminants are concerned. Whole animal ecotocxicology studies should therefore be part of an integrated, appropriately regulated and licenced biomarker study. Owing to their relative longevity, sensitivity and the possession of some human analogous metabolic detoxification processes, fish have long been used as sentinel species for environmental pollution (Hartl, M.G.J., 2002). Biomarkers, loosely defined as measurable effects providing evidence of exposure, will ideally lead to the establishment of causality and provide the necessary data to inform management decisions. 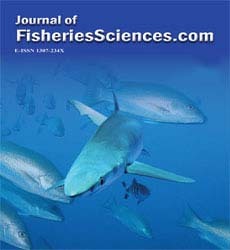 Despite the increasing importance of fish cell lines and the development of in vitro co culture models in routine toxicity testing, the use of whole organism exposure models still deliver ecotoxicological information, such as condition, growth, fecundity and population dynamics, that the former cannot, especially where novel contaminants are concerned. Whole animal ecotoxicology studies should therefore be part of an integrated, appropriately regulated and licenced biomarker study. The evidence for anthropogenically-driven climate change is overwhelming and it is clear that it is affecting oceans and freshwater habitats for fish, albeit in different ways. Nevertheless, the growing realization that some established biomarker species and endpoints may need to be re-evaluated if they are to be used in future and adapted accordingly in order to ensure meaningful results in a changing environment. Hartl, M.G.J., (2002) Benthic fish as sentinel organisms of estuarine sediment toxicity, in The Vienna School of Marine Biology: A Tribute to Jörg Ott, M. Bright, P.C. Dworschak, and M. Stachowitsch, Editors. Facultas Universitätsverlag: Wien. pp. 89-100. IPCC, (2013) Climate Change 2013. The Physical Science Basis. Obervations: Ocean.pp. 255-316. Krümmel, E.M., et al., (2003) Delivery of pollutants by spawning salmon. Nature,. 425(18 Sept 2003): p. 255. Noyes, P.D., et al., (2009) The toxicology of climate change: Environmental contaminants in a warming world. Environment International,. 35(6): pp. 971-986. Craig, J.M., et al., (2003) Effects of salinity, pH and temperature on the re-establishment of bioluminescence and copper or SDS toxicity in the marine dinoflagellate Pyrocystis lunula using bioluminescence as an endpoint. Environmental Pollution,. 125(2): pp. 267-275. Zanette, J., et al., (2011) Salinity influences glutathione S-transferase activity and lipid peroxidation responses in the Crassostrea gigas oyster exposed to diesel oil. Science of the Total Environment, 409(10): pp. 1976-1983. Tu, H.T., et al., (2012) Combined effects of deltamethrin, temperature and salinity on oxidative stress biomarkers and acetylcholinesterase activity in the black tiger shrimp (Penaeus monodon). Chemosphere, 86(1): pp. 83-91. Singh, R. and M.G.J. Hartl, (2012) Fluctuating estuarine conditions are not confounding factors for the Comet assay assessment of DNA damage in the mussel Mytilus edulis. Ecotoxicology, 21: pp. 1998-2003.